Very friendly, helpful and motivated professionals that achieved amazing result for my family home. Communication has been brilliant, consistence update and always available to be contacted. We were concerned about putting our house on the market just a month before Christmas but the speed and efficiency of Adi Suryanto had our house on the market and sold in around 2 weeks and within his suggested price range. All credit must go to Adi Suryanto for his advice, his communication. My wife and I were happy with the sale process from conception through to the final steps. We chose Adi Suryanto because he was a local agent, but soon found he were more than competent and professional in every way. 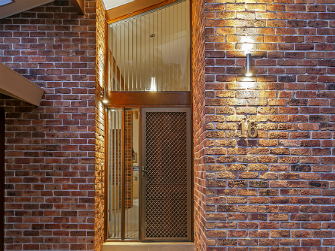 I would recommend him to anyone who are thinking of selling in West Pennant Hills. Adi was true a professional reality throughout our process of us in purchasing our dream home. Adi provided up to date market analysis with statistics with real data which allowed for us to make the our decision at the right time. Adi service was outstanding as he conducted himself in a professional manner which provided true clarity to the situation I would be happy to recommend him as a reality for other people who are looking to buy their dream home. Outstanding Service and Professional. Adi did a good job to help me secure the property. He has a good communication skill to facilitate between the buyer and the owner. At the critical point, he did well to push the deal move on. Several weeks ago, I had a conflict when I wanted to go the open home. I gave him a call and asked if it was possible for me to see this property later that day. Adi was very nice and offered another time on the same day. He also provided me another chance later to see this house again. All these details contributed to the final success. Thank you, Adi. Really appreciate all your help. 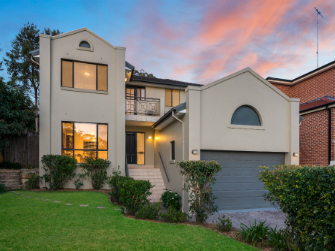 "We are very pleased and satisfied with the service provided by Harcourts Hills Living in the recent sale of our house in Cherrybrook. In particular, our special thanks to Mr Adi Suryanto for his friendliness, guidance, professionalism displayed and working with us methodically and tirelessly throughout the entire duration from Day 1, when we first entrusted him to list (and sell) the house in the market. More importantly, we were pleasantly delighted on the outcome of the sale which surpassed our expectation. Arising from my experience working with Adi Suryanto, I would strongly recommend him to anyone who wishes to sell their property." 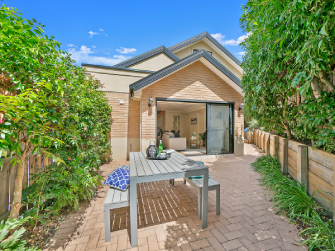 We were impressed with his result on a sale in Cherrybrook so we decided to engage with Adi Suryanto and he was very helpful every step of the way. 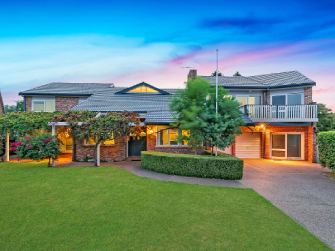 We would recommended him to any potential owners in Cherrybrook if they are thinking of selling. Couldn?t have asked for a better agent. We met Adi Suryanto several times over a 2 years period and he remembered our details and contact, keeping us update with the market. Sales and support were all friendly and professional, coupled with good knowledge of local market condition. A winning combination! We appreciate the professional way Adi and his team handled the selling of our property. Adi is polite, friendly and always contactable and never pressured us in accepting any offer. He keeps us fully informed after every inspection. We had no hesitation in recommending Adi Suryanto to any prospective seller. Again, thank you for your excellent service. 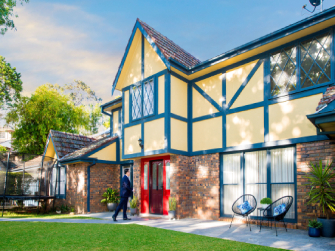 Adi Suryanto is a well known Local agent in West Pennant Hills with years of experience and local knowledge. He was a pleasure to deal with and kept us in the loop all the way. Would recommend to friends and family who are thinking of selling. I was completely happy with the service and the result, I would use Adi Suryanto's service again and would recommend him to any potential seller. We just purchased our 3rd home with the assistance of this amazing professional. Adi was always responsive and patient even at weekends and late evenings. No matter how many questions we?ve asked! He came very well during the negotiation phase and convinced me to lift my budget and pull all strings to purchase the house that we think we can live happily. Overall we are happy with his services and what he has offered us. Highly impressed with the level of service provided. Adi Suryanto have been very sincere from the beginning and kept me updated with the process of the sale. Very happy with the outcome and couldn't be more happy to recommend him to anyone that are planning to sell. Adi, was in above professional and very personable with his conduct as my sales agent. His efforts during the whole marketing and sales campaign were above and beyond with the simplest changes to meet the specific requirements requested without fuss. The continued help and guidance throughout and after sale has also been excellent. I would recommend Adi and in fact have on two occasions. In my opinion, he is a decent, hard working and credible agent. Negotiating is difficult these days because buyers are so knowledgeable therefore it is more important than ever that an owner feels an agent is working hard for them. Our purchasing was a very happy experience overall. Adi did a great job in communication and especially follow-ups. We did have some small dramas but Adi assisted us by all means to smooth the purchase and things before settlement. Thank you Adi. Adi was very supportive throughout the whole process of selling our home. His knowledge and experience within the local market was exceptional and contributed greatly to the overall result. His regular communication updates ensured we knew where the situation was up to all times. The entire team were very easy to deal with and made what sometimes is a stressful process very easy to manage. The overall selling experience with Adi Suryanto was great. The whole negotiation and exchange process happened quickly, professionally. Adi Suryanto listened to our situation and assisted from day 1 till the settlement. Would definitely recommend Adi Suryanto to others wanting a hassle-free experience. Adi did an excellent job, we sold the house at the 1st open home. 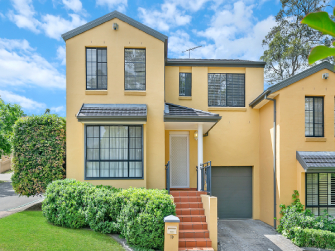 Adi is professional, very friendly and looked after all avenues to advertise the home and we would recommend him to anyone in West Pennant Hills who are looking for an agent to market their home. As stated before in a very difficult market, Adi and his team worked extremely hard to get us a result. Without their professionalism in the current market we doubt we would have achieved this.